The Bwindi View Bandas is situated at the borders of Bwindi impenetrable national park.It was built in a way that offers a beautiful view overlooking the impenetrable forest. Campsite pledge offers a visitors a warm pleasant welcome as well as provide assistance to help them to achieve the-most from their visit to the Bwindi Gorilla National park. They aim to see that you have a great and comfortable stay at their facility. 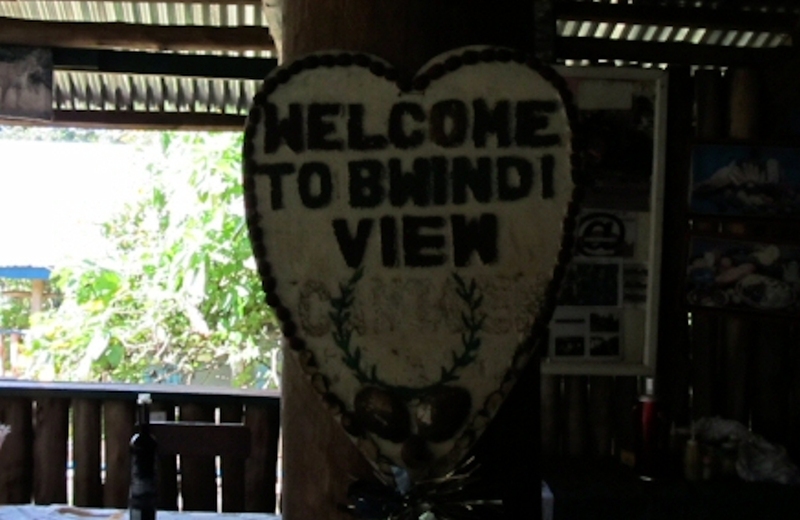 Your visit to the park and your stay at Bwindi View Bandas will create a memorable experience. They offer activities ranging from gorilla tracking, tours and trekking expeditions. Due to its location it offer an opportunity to witness the different species of birds which are proximately 50 on ground, especially to birders. The beautiful scenery of Buhoma valley and impenetrable forest plus the entrainment made by the local children dance troops. They have a Banda canteen comprising of a Restaurant and bar which offers traditional dishes and a snacks menu however order are made in advance. They serve Breakfast starting at 07.00am and offer lunch boxes for those going to track gorillas or do forest nature walks. Takeaways maybe prepared for those who may be heading for a picnic, gorilla trekking or nature walks. Bwindi view Banda is located 15 kilometers from Butogota to Buhoma, private taxi hire services can be organized from here. However you can also privately hire a vehicle for this transfer.